If you’re going into battle, you would never do so without the right equipment — ammo for your gun and something to protect your head are key for success on the battlefield. 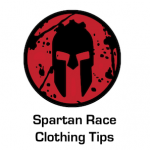 Likewise in Spartan Race, you need the best Spartan Race gear. Spartan Race shoes, Spartan Race gloves, and proper Spartan Race apparel are all important if you want to make it out alive (or at least with a medal and a smile at the end of it). We’ve conquered Spartan Sprint obstacles in the rain and Spartan Beast obstacles in the desert to find the very best Spartan Race gear to help you overcome any obstacle and give yourself the best chance for success. You need more than the best Spartan Race apparel to excel on the course! 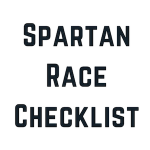 Below is our definitive list of the ten best pieces of equipment to own as you get ready to PR at your next (or first) Spartan Race. WarriorXGear is some of the best made product on the planet when it comes to best Spartan Race gear (and OCR gear in general). They are a bit on the expensive side, but their material is breathable, durable, and ready for the battlefield. Check out more Spartan Race shorts in our dedicated review. You will see more and more people wearing this brand of compression because it is some of the best on the market and easy to find at most major online retailers. This gear is made for Spartan men and women, and will keep you from cramping up during a race. Under Armour is one of the premier companies that makes affordable and practical Spartan Race tops, and their compression shirt is one of the best. The HeatGear technology keeps you dry, and it’s anti-odor protection will keep it from smelling funky year after year. If there is one shirt to wear throughout your Spartan Race season, it might be this one. Anyone who is serious about OCR and finding the best Spartan Race gear knows about Legendborne. They are the official jersey of major events like the Obstacle Course Racing World Championships, as well as for a number of top OCR teams around the country. If you really want to look the part, this is the look you want to strive for. You can’t begin a discussion on the best Spartan Race gear without talking shoes. The Reebok All-Terrain line of shoes has gone through some modifications, but their current line of Super 3.0 are a great shoe that balances traction, drainage and comfort. Durability has been a concern with this line, but the Super 3.0 promises to improve where others have failed. Great for dry weather and rainy weather where you need good drainage. 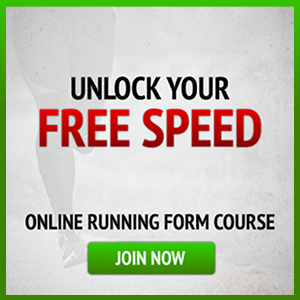 Read about the best OCR shoes in our dedicated review. Inov-8 has become one of, if not the most popular Spartan Race shoes. They are constantly pushing the envelop when it comes to making the best combination of durability, grip, comfort, and look. Lace these up at your next Spartan Race no matter the distance, and know that you have the best product on the market under your feet. Not everyone prefers to wear gloves on the course, but for those who do, these are great warm weather, fingerless gloves that you can use to protect your hands but not get too sweaty. These gloves are relatively cheap and dry quickly while holding their grip. Check our our Spartan Race glove reviews. When the weather cools down a bit, your grip tends to weaken. The Mechanix line of heavy duty gloves are great at keeping your fingers warm while allowing you to use your fingers and utilize grip. They don’t do great in water, so don’t use these in races with a lot of water, but for dry runs and cold races, these are perfect. These socks are great for both men and women, and are designed to take on water and dry quickly. They are thin enough to not need to go up a size in shoes to fit, but provide enough padding to prevent blisters. All-in-all, one of the best products to protect your feet. 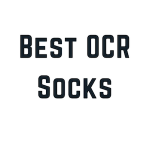 Read about more OCR socks in our dedicated review. 5 Best Socks For Spartan Race: Avoid Blisters & Funky Feet!